I’ve always believed that perfume is a pretty silly thing to be snobbish about. 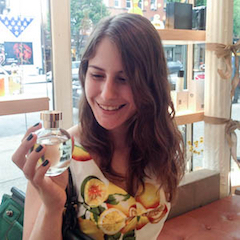 Everyone deserves access to good perfume, regardless of socioeconomic or geographic status! It improves all of our lives and morning commutes. In that spirit, I’ve decided to do a best-of series for a wide variety of perfume vendors, including the ones that I’m occasionally guilty of overlooking in favor of Scent Bar or Bergdorf’s. Today’s topic: Tar-jay! At first glance (okay, maybe the second glance too), Target doesn’t appear to have much to offer the average perfumista. There are over 900 perfumes on the Target website, but the in-store selection is dominated by celebrity perfumes that even Macy’s is too proud to carry (Shania Twain Starlight, anyone?) and reformulated (some might say butchered) classics. But there are still a few goodies if you know where to look! Warning: Target is not the place to buy nostalgic classics such as Evyan White Shoulders or Jovan Musk. These will be the current versions, which means that there is a very high chance that they have been reformulated since the last time you tried them. Spare yourself the money and heartbreak. Bought a small bottle of Tommy Girl at Walmart for $14.99 based on Luca’s glowing review. . Cheap thrill tea-based floral? No-total horrorshow scrubber on me. Did this teach me not to buy unsniffed? Of course not! LOL! Thank you for the warning, Barbara. I really think Luca should have had Ms. Sanchez write the reviews of Calice Becker-created scents, to reduce the appearance and/or presence of personal bias. I was going to say, I thought Beyond Paradise was the most controversial 5-star review! I did the same thing Barbara did, only I got my bottle for $9.95 at Marshall’s. It now sits in the sell/give away bag. I have a mini of CKOne that I stole (with his knowledge!) from my ex. A really nice, refreshing grapefruit scent for the summer! Someone has to buy Remembrance!!! There is NOTHING about it online. No reviews, no press releases, nothing! The curiosity is killing me! That’s so funny! That makes me want to google it too. Really? Nothing? I like Tommy Girl! But I could never wear it because it was the scent of high school. I don’t think my high school had a scent! Middle school, however, was extremely heavily scented- clouds of Axe and B&BW in every hallway! What was all over MY high school was Sand & Sable for the drill squad girls (I’d have been wearing it if my mother had allowed, but she said it was “too old” for me), Opium for the smoker girls, Giorgio for the popular girls, and Exclamation for everybody else. I like Tommy Girl (blush). I love Juicy Couture. I swear it smells like Mary Greenwell Plum. Really?? I still haven’t tried Plum- I was discouraged after hearing that it didn’t actually smell like, well, plums! I still say that the JC edp smells too much like watermelon Bubblicious to be like Plum. But the parfum is pretty close. I like the watermelon in Juicy Couture! I think I’d take it over Plum. Plum is nice but it smells like Chanel Cristalle EDP + purple to me. Ew. I really hate the color purple. And don’t like Cristalle either. 🙂 I can see how that would be unacceptable. Oh, but I love Cristalle EDP and own a full bottle! Plum is really not bad, it’s nice, but I don’t love it, either. Of course I have you to thank for my sample – thank you! 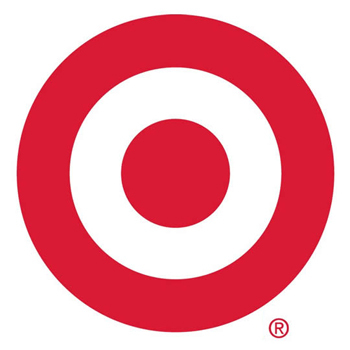 I miss Target, it is one of the few American chains we don’t have here in Dubai yet…. The idea of a 3.5 year old with her own signature scent (and a few Amouages!) is BEYOND adorable. When I was her age, I hadn’t figured out how to spray perfume anywhere other than my eyeballs!! Sadly our one and only Target in San Francisco is so small and boutique like that they don’t carry perfume!!! Thanks for the heads up for my next trip out to the “Berbs”. How bizarre! I would think that a major city like San Francisco would have an equally major Target. What do y’all have instead?? San Francisco is very snooty about what stores get to be here. We didn’t have a MacDonalds until 1978! We have no Walmart for instance. It took a lot to get Target in here. What we do have are the big department stores like Macy’s, Neiman Marcus, Nordstrom, Bloomingdale’s. They just opened a Marshall’s on Market Street that is really nice. Excellent detective work!!! How sneaky of Target to market it as a real Ralph Lauren! Oh, I’m so happy you liked the post, Catherine! I had one of those friends who WAS the Gandalf-dressing compulsive gambler. Actually, he’s still a friend. Now runs an improv theater in our hometown and limits his risktaking behavior to that (I can’t imagine he makes any money). And have commented on several of those scents in reply to other people’s comments, because I am a piggybacker! Might have to wear that Juicy Couture parfum today… honestly would not be caught dead in the edp WATERMELON BUBBLICIOUS POP POP POP CAN YOU SAY SIXTH GRADE ADDICTION? ?, but the parfum is really good. I suspect that it’s the parfum reviewed in PTG.